This Place of Worship was founded before 1902, though it is now closed, but we don't yet know when, and the premises are now in secular use. Kelly's Directory of 1923 for Chalford parish records "a place of worship for the Brethren", and its position is marked on Old Maps from 1902 - as "Christian Brethren Chapel". In the present day, this "tin tabernacle" painted dark green may be found the location indicated by these Old Maps. As can be seen, it has a small porch, and sides with three windows, giving it a style typical of so many "iron chapels" which have already been lost. Note: "Browns Hill" is the name of the road the chapel is (or was) on. It links "Brownshill Road" on the west, to an unnamed east-west route to the south east. 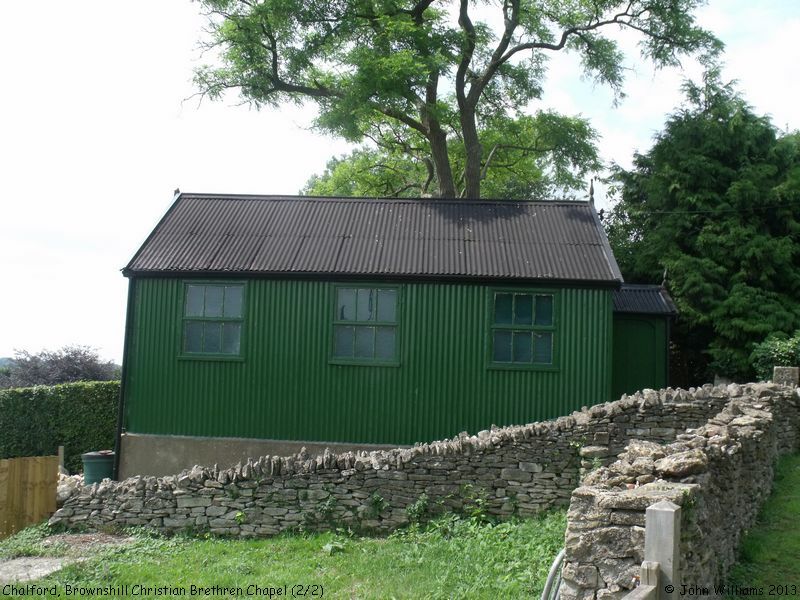 Christan Brethren Chapel, Brownshill, Chalford shown on a Google Map. Information last updated on 9 Aug 2013 at 08:01. 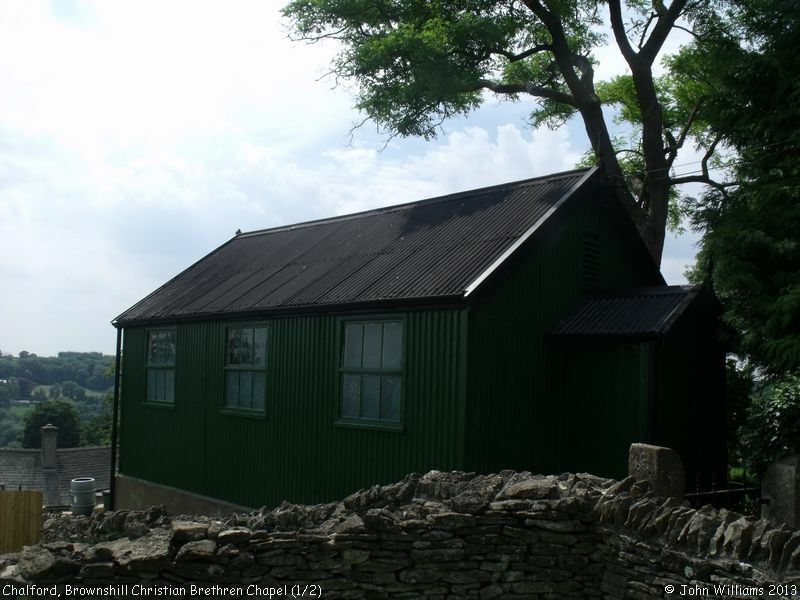 Please also remember that the former Christan Brethren Chapel is understood to be in secular use, so care should be taken to preserve the privacy of its occupants. This Report was created 13 Apr 2019 - 21:31:35 BST from information held in the Gloucestershire section of the Places of Worship Database. This was last updated on 7 Feb 2019 at 07:45.